The Montessori Curriculum was made possible by Maria Montessori who developed it in the early 1900s. A firm believer in children learning at their own pace to naturally discover the world around them, Montessori also believed that this child development approach would give rise to a more peaceful civilization. Over 100 years of practical teaching of this method have proven that children receive a comprehensive cognitive, physical, emotional and social education to prepare them for a challenging world. Changing Tomorrow Academy Children Center specializes in the Montessori Curriculum, conveniently situated in the heart of Brooklyn, New York, which also believes in this natural child development model. Our facility focuses on the care and education of children between the ages of 3 months to 5 years. Core elements of the Changing Tomorrow Academy children care center encompass physical development, language, sensorial growth, mathematics, and the arts. The teaching model of natural discovery of the world is applied to support your child’s development from both a psychological and educational perspective, rather than through the traditional instructional mode of education. Free to move around in the classroom areas of the children care center, your child will be closely monitored by an experienced, certified Montessori teacher at all times. Freedom of movement and choice is embraced in the Montessori model as this technique encourages children to navigate towards what naturally interests them. These natural interests are aligned with the child’s inherent aptitudes. Alignment of natural abilities and curiosity enables the development of confidence, and frequently motivates children to excel in what comes naturally to them. Essentially, the natural inherent tendencies of children are harnessed to direct their education from their own personal perspectives at the children care center. The Montessori discipline is the opposite of generalized instruction, which largely ignores individuality and natural talents in children. The freedom of engaging in purposeful activity, therefore, drives the rounded development in all spheres of the child’s life. Montessori recognized these tendencies, that are motivated through the natural, individualistic personality and talent of the child. Changing Tomorrow Academy Childcare Center focuses on the first plane of educational development up to 5 years. This age group is the most important in childhood development since it is a time of rapid physical and psychological growth. This growth phase is characterized by significant absorption, construction of the self, and achievement of functional independence. The first plane includes a process of ‘normalization’, where developmental needs can be met through the Montessori teaching technique to naturally instill a sense of order, concentration, and sympathy through appropriate activities. The childcare center of the Changing Tomorrow Academy in Brooklyn, New York welcomes new applicants. Providing exceptional developmental opportunities for children in the area, our mission is to offer children a strong, positive framework to strengthen their natural talents and meet future life challenges. 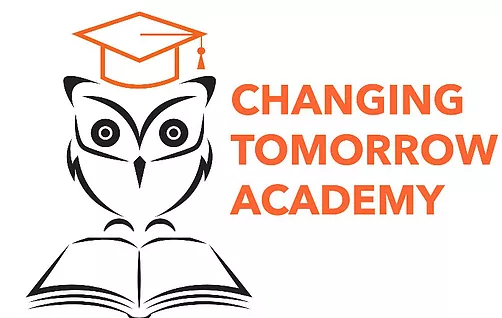 The Changing Tomorrow Academy believes in harnessing natural talent through the Montessori curriculum, that supports support the creation of successful change and peace for tomorrow’s world.